Virgin Media gives broadband customers free upgrade | What Hi-Fi? Virgin broadband customers on the company's fibre optic network are set to receive a free upgrade to their connection speeds. The upgrade is being called an 'adrenalin shot' by the company and will be rolled out over the next few weeks. 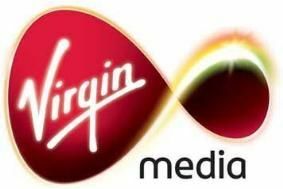 Customers on the top band XXL Virgin Media package can expect to see upload speeds more than treble, hitting up to 5Mbps. Jon James, executive director of broadband at Virgin Media said: "With the huge growth in social networks these new upload speeds will help Virgin Media customers share their most precious moments and keep up with what friends and families are up to, whether it's uploading to YouTube or even hosting a live videochat to show off baby's first steps in high-definition." Virgin Media today announced that residents of the Welsh village of Crumlin, Caerphilly, will be the first in the UK to trial ultrafast broadband delivered over existing electricity poles. Following an agreement with Surf Telecoms, homes in the village will be connected directly to Virgin Media's fibre optic network, effectively increasing local broadband speeds ten-fold to up to 50Mb. For the first time, Virgin Media will use existing commercial infrastructure to aerially deliver ultrafast broadband to a community currently beyond the reach of a fibre optic network. The village has previously relied on BT's copper infrastructure but will now be offered Virgin Media's broadband and TV service, including around 5,000 hours of catch up TV and on demand content. The trial will start next month and is scheduled to run into 2011. This news comes at the same time as the 'digital divide' between rural and urban areas is tipped to widen. IOfcom has said that average download speeds in rural areas were half those in urban areas, at just 2.7 megabits per second compared to an average 5.8Mbit/s in urban areas. Ed Richards, chief executive of Ofcom, said: “[The] gap will extend before it narrows, because [the ISP's] are more keen to invest in more densely populated areas first,” he said. “On average speed, it's probable that will continue to widen over the next few years.” he added.